Posted on October 28, 2016 by thelostlighthouse	in Podcast and tagged Bioshock, Bioshock 2, Bioshock Collection, Black Mirror, Deadpool 2, gaming, GOTG 2, Guardians of the Galaxy 2, H.P. Lovecraft, Logan, Lovecraft, Nintendo, Nintendo Switch, podcast, Red Dead Redemption, Red Dead Redemption 2, Resident Evil, Sci-Fi, Star Wars Rebels, The Eleventh Letter, The Lost Lighthouse, TLL, tllpodcast, video games, voice actors strike., Weekly Rapture, Westworld, Wolverine. This week we chatted about the Nintendo Switch, the Guardians of the Galaxy 2 and Logan teasers, Red Dead Redemption 2 and the voice actors strike. We’ve been watching the new HBO/Sky Atlantic show Westworld, and chat about the first few episodes that have aired so far. We do venture into minor spoiler territory, so if you haven’t seen it yet then skip 40:37-56:27. 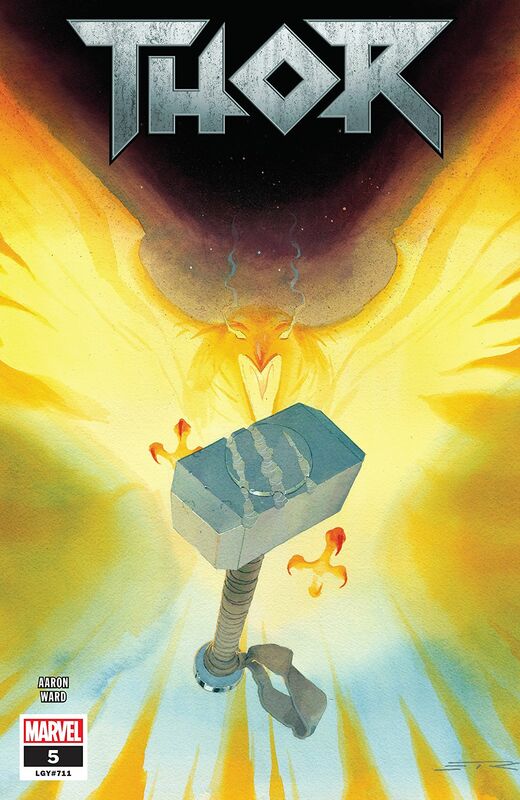 Posted on January 28, 2016 by thelostlighthouse	in Comics, Literature, Uncategorized and tagged All New All Different, All New All Different Marvel, Andrea Sorrentino, comics, comics reviews, Jeff Lemire, Literature, Marcelo Maiolo, Marvel, Marvel comics, Old Man Logan, Sci-Fi, Secret Wars, The Lost Lighthouse, TLL, Wolverine. Kit has taken over the weekly comic book review because Adam is in the unenviable position of attempting to finish off his PhD. So, this week Old Man Logan #1 from Marvel caught my eye, written by Jeff Lemire with art from Andrea Sorrentino, colours from Marcelo Maiolo and lettering by Cory Petit. 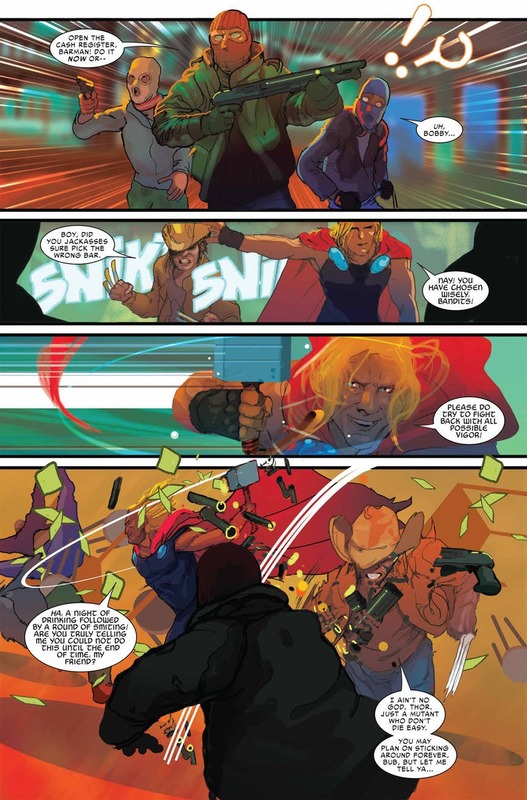 It’s another rebooted comic to fit in with the All-New All-Different Marvel universe. I knew of the original, which I’ve not read but have read a synopsis for so I kinda knew what to expect. This is old, very grumpy and very short tempered Wolverine. Do not expect a happy-clappy comic book. But is that what we’d really want from Mr Howlett? Honestly, part of me would love to see that, but only for a panel or two, anymore and it’d get a bit too weird. So, focusing on the review of the actual comic again. The first thing I noticed was the art work. It sets the tone of the comic immediately, it looks dirty (in a very good way) and the colour pallet is dark even when the sun is out. Sorrentino and Maiolo did an excellent job here to give us dark, gritty world to delve into. And dark and gritty it is, right from the little summary of his backstory on the first page. In a few years the villains team up and they win. They slaughter nearly every hero and take over the world. Old Man Logan is one of the few survivors, he’s given up and he’s trying to live a simple family life. Until the Hulk Gang get pissed off and murder his family. He responds as you’d expect. He murders them right back. After the events of Secret Wars Logan finds himself waking up in a full, vibrant New York City. There’s some kind of fat Spider-Man there (the one bit in this comic I didn’t get, I assume it’s a cosplayer?) and society is functioning. There are big posters of Iron Man and Captain America, as you’ve guess he’s gone back in time. It’s the present day and the villains haven’t won yet. We’re treated to a flashback to his life before, tormented by the Hulk Gang’s flunkies and his relationship with his son. This really helped us get to know the kind of man this Logan is, we get to see him at his worst: broken and passive. He’s been broken down to nearly nothing, and from there he’s rebuilt himself into the ultimate survivor. It take Logan a while to work out what’s going on, but once he does he knows what he has to do, prevent the villains from teaming up. Of course he rallies the Avengers and takes them down! Or… not…. Naturally he picks up the war path and sets off on what is planned to be a nice little murder spree of revenge on the villains. I enjoyed this more than I expected. It’s a lot darker than the other Marvel I’m reading which is a nice contrast. They did a great job in letting you get to know Logan, it’s also very clear he’s a very different man to the main timeline’s Wolverine. I can’t quite get over the random fat Spidey though. It would also be nice to have a few more supporting characters eventually. The art is excellent and gory (for a Marvel comic) and if you’re a fan of comic art that alone is reason to get this first issue. Final Score – 8.5 Jars of Apple Jam out of 10! Posted on October 16, 2014 by thelostlighthouse	in Comics, Literature and tagged adamantium, Charles Soule, comics, comics reviews, Death of Wolverine, Literature, Logan, Marvel, Marvel comics, Steve McNiven, superheroes, The Lost Lighthouse, TLL, Wolverine. After what seems like one of the longest death scenes in history, fictional or otherwise, we have finally arrived a the finale of Death of Wolverine. Spoiler alert – Logan dies. That’s been teased for months, and given that there are a slew of comics coming up dealing with the aftermath of his death it seemed like there really was no way out for Wolvie. A fake out would have been a mistake, and while there is absolutely no chance that Wolverine will actually stay dead in the long term (this is superhero comic books we are talking about, and one of Marvel’s most popular and enduring characters), if the story is compelling then it is still worth telling. 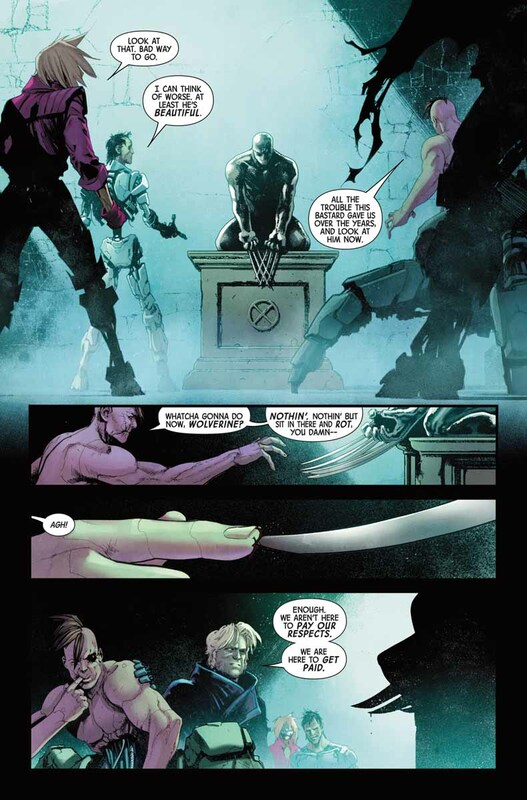 Death of Wolverine follows on from various arcs that led to Logan losing his healing factor, making him question both his mortality after being rendered killable, and his place in the world as a hero. This four-part series involves Abraham Cornelius, one of the leads on the Weapon X program that was responsible for lacing Wolverine’s skeleton with the adamantium metal alloy. Seeking to leave a legacy, and seeing Wolverine as a failure of the program, Cornelius seeks out more adamantium to infuse and graft onto new subjects. He also needs Logan’s healing factor to succeed, and seeks him out not knowing that Wolverine no longer possesses the ability. This final issue is all about the confrontation. Logan arrives at Cornelius’s facility in Nevada, lays waste to all the guards, and finds a scene shockingly similar to his experiences in Weapon X. After Cornelius discovers that he is no longer of any use to him, and Logan defeats his super-powered muscle, he flees and starts the infusion of molten adamantium into his remaining subjects. We hear the ‘SNIKT’ of claws extending for the last time before Logan goes into action. By the end of the issue we arrive where we expected, with Wolverine dead. It is worth reading for yourself though, so I won’t go into detail on how. 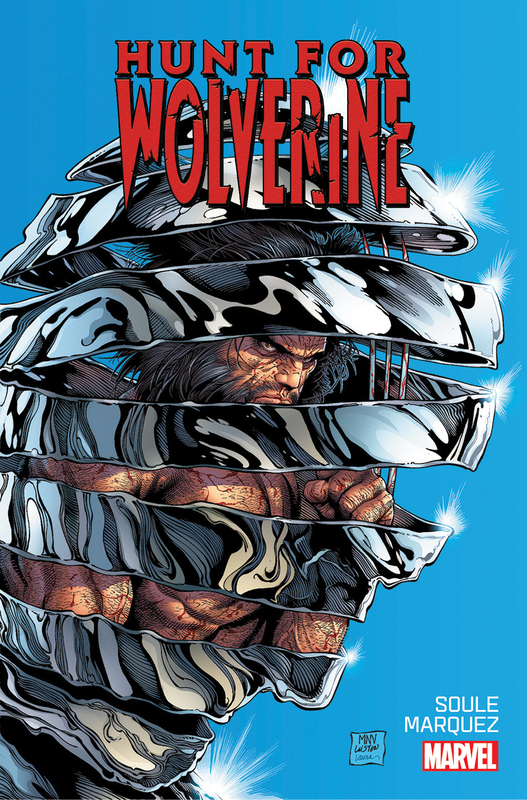 Charles Soule crafts a strong, tight story around the demise of Wolverine. His dialogue is pitch perfect, and this issue is an exhilarating ride. I think my favourite element that they have brought in to this story is every time Logan sustains a new injury, the affected area is highlighted in a single small red text box. When he draws his claws for the last time, it simply says ‘HANDS’. Steve McNiven’s art is superbly detailed and dynamic, and the inks from Jay Leisten and colours from Justin Ponsor finish up the art to make a really strong overall direction. The double splash of Paradise Valley, Nevada is breathtaking and does a great job of setting up the start of the issue, the calm before the storm. This was a great end to a strong mini series, and while it was a long time coming and may only be temporary, the story was worth telling and will hopefully set off a few more compelling arcs in the aftermath of Logan’s death. My only complaint is the price point of $4.99 for 24 pages of story, the same cover price for all 4 issues. That is fairly steep, and while it has a nice quality shiny cover and contains a free digital copy, there should be an element of choice in that, perhaps knocking a dollar off the price for a standard cover. Nevertheless, this is still a series very much worth reading. There were copies of all four issues available at my LCS so you can still get the whole story physically, or pick it up digitally (where I actually believe it is a bit cheaper! ).